Richard Hofmeier’s Cart Life subverts the traditional videogame power fantasy. Most videogames are interested in making players feel powerful. This is usually accomplished by offering up challenge structures that, once overcome, make the audience feel good. Whether this entails clearing a room full of enemy soldiers with bullets and regenerating health, timing jumps over bottomless pits or overcoming puzzles through the application of logic, games almost always offer some kind of power fantasy to those who play them. 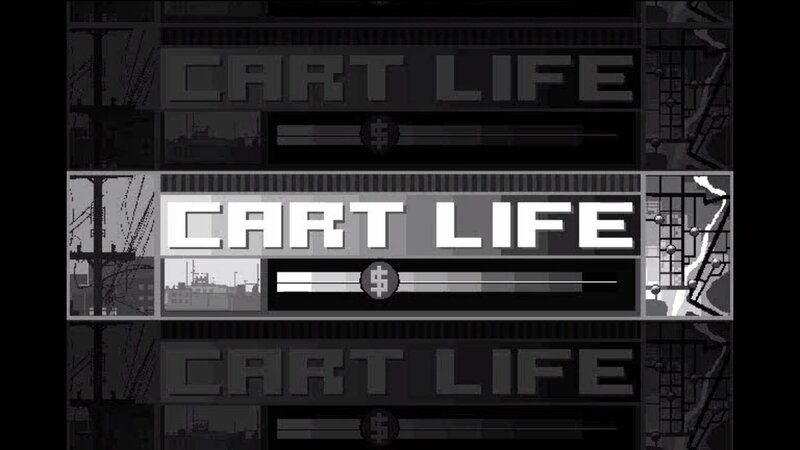 Cart Life is not like other videogames in many ways, but its focus on disempowerment is the feature that most strongly sets it apart. 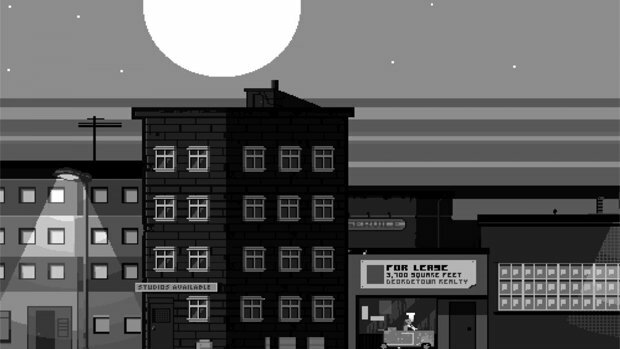 In Richard Hofmeier’s simulation/adventure, players are asked to embody one of three entrepreneurs hoping to make a living by opening and operating a successful food or newspaper cart. As in real life, starting a new business in Cart Life isn’t easy. None of the selectable main characters has much money saved up and all of them have to deal with various personal problems alongside the various challenges inherent to their careers. For Melanie, this means balancing a burgeoning coffee stand with the emotional turmoil of a recent divorce and the practicalities of trying to support an eleven-year-old daughter. A day of work may see Melanie desperately hustling around town, buying cart supplies (and draining her dwindling bank account), trying to get to the court house in time for a custody hearing and then rushing to her daughter’s school in time to walk her home. In Cart Life everything is a struggle and victory only comes in rare moments — moments like finally pawning enough treasured items to afford a cart or finding the sweet spot between attractive sales prices and workable profit margins. Compare this to other recent games. It’s extremely rare that a title works to make the player feel less powerful than how they perceive themselves in reality. Cart Life is a working class simulator, putting audiences in the shoes of people who are breaking their backs just to survive, not an experience centred on making the player feel like an invulnerable Greek warrior god or an impossibly stealthy assassin. Even a game as concerned with despair and hopelessness as The Last of Us allows the player to take direct control of their fortunes during combat sequences. Sure, the available ammunition may be limited and the areas full of enemies incredibly dangerous, but Joel, the game’s protagonist, is still resilient enough to overcome most every obstacle put in his path. In Cart Life, on the other hand, it’s impossible to deal with the frustration of waiting in line at City Hall to buy a bus pass while precious working hours fly by. Players are asked to submit to their own powerlessness as part of the experience and are given very few tools with which to overcome the problems standing in their way. A videogame that deals in removing power from players isn’t necessarily better than one that seeks to grant it. Disempowerment is currently interesting, though, because so few modern games choose to employ it as a design philosophy. Most games focus on providing a series of challenges that teach the player new skills — or, as in RPGs, outright grant them as permanent bonuses — that help put the player on a path of nearly constant improvement. When this sense of growth is subverted it can have an enormous impact on a title’s mechanics and narrative. Cart Life wouldn’t be worth talking about if its characters could “level up” their attributes or if scraping together the money to buy a cart suddenly yielded huge dividends. Its constant difficulty and refusal to grant power-ups helps to reinforce the game’s point — that living on the poverty line is stressful and tiring — in a way that wouldn’t be nearly as effective otherwise. Making the player feel as helpless as their avatar is a fantastic way to promote empathy and take full advantage of the interactivity of the medium. Turning the traditional videogame power fantasy on its head wouldn’t be the right approach for every type of story, but it’s a great and unique method for developers to draw upon. Cart Life is a superb demonstration of how this can be done.